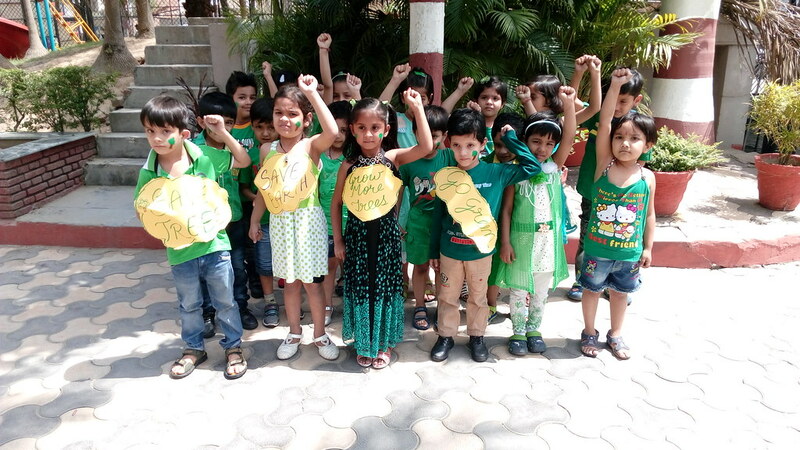 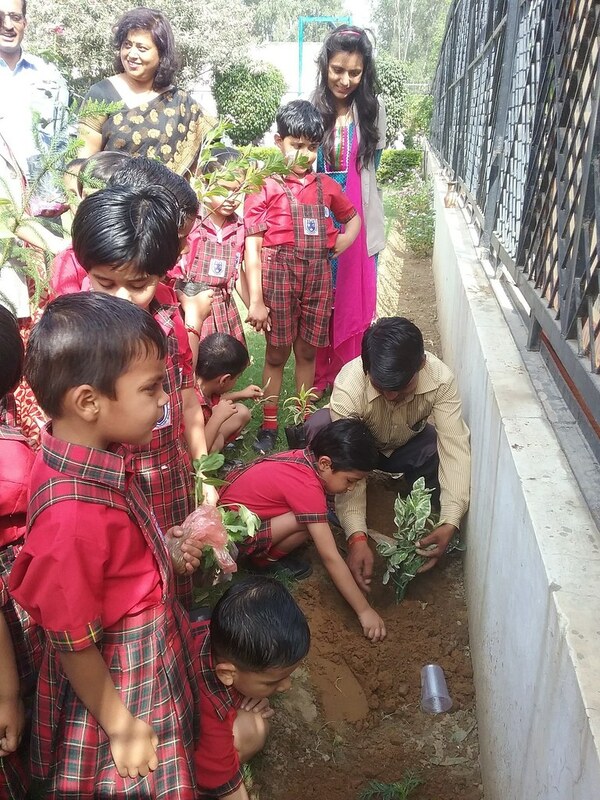 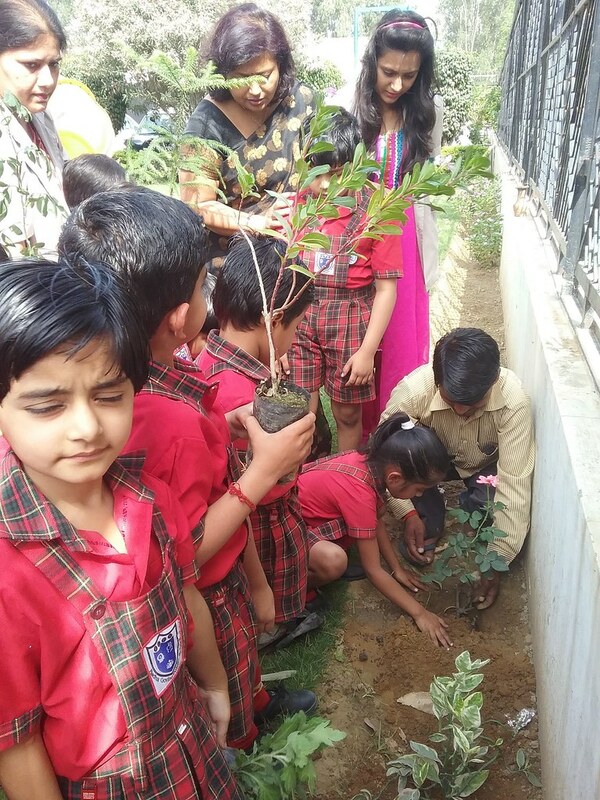 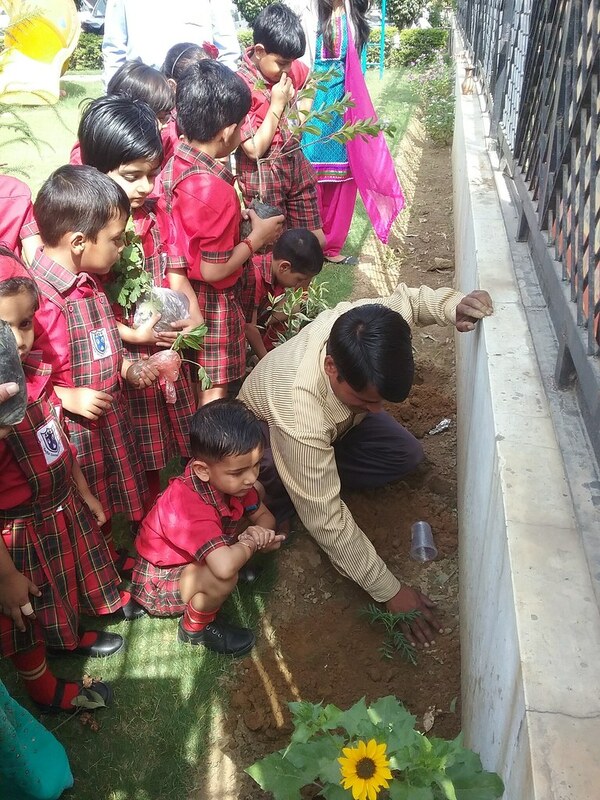 Plantation & Green Day The Best School of India in Category "Online Presence"
Green Day was celebrated with great zeal & enthusiasm in the KG section on 29 April. 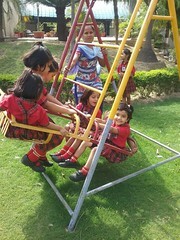 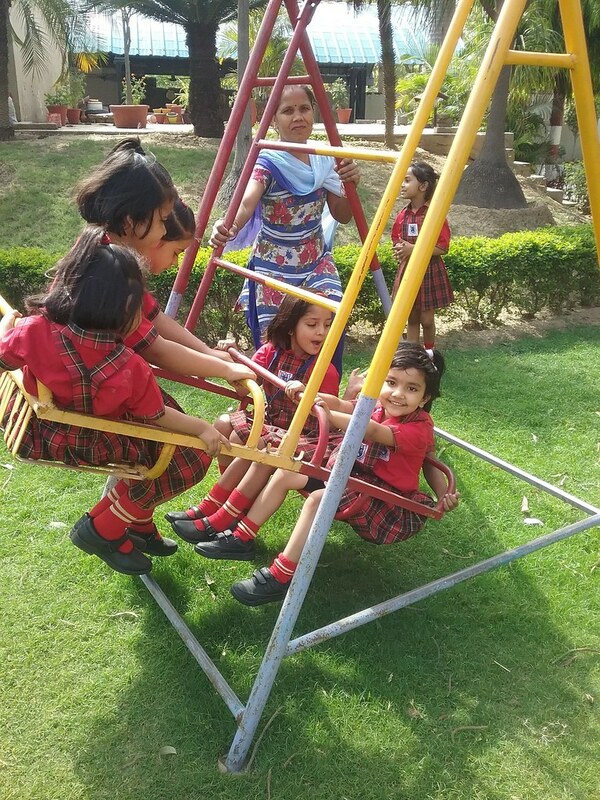 Tiny tots & teachers came to school in green attires and looked eco friendly. The classrooms were beautifully decorated in green theme. 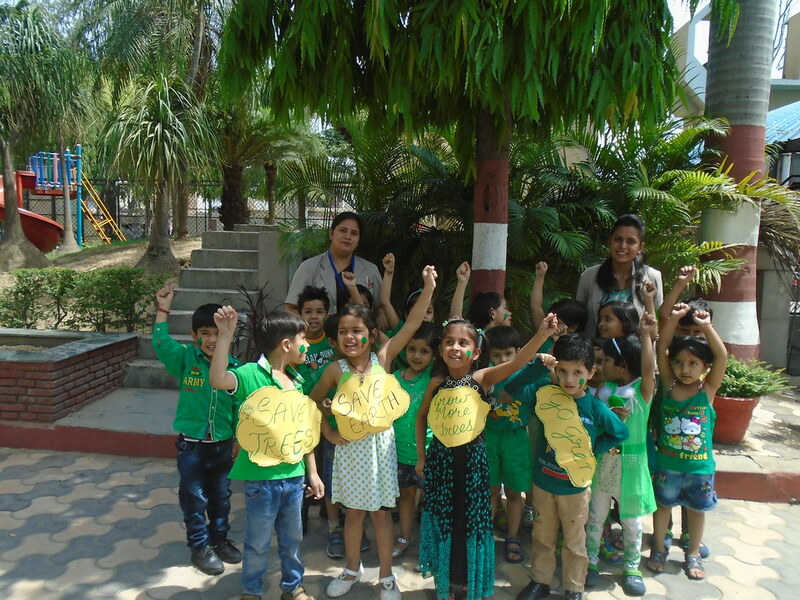 Kindergarten students were taught the identification & recognition of green fruit, vegetables, leaves & trees. 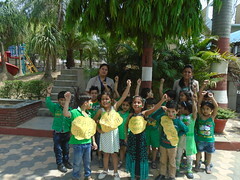 Many activities & games pertaining to green color were organized for the kids. 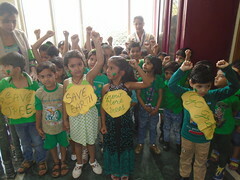 Children brought green snacks & eatables in their Tiffin. At last they went to the field for plantation accompanied by their teachers. 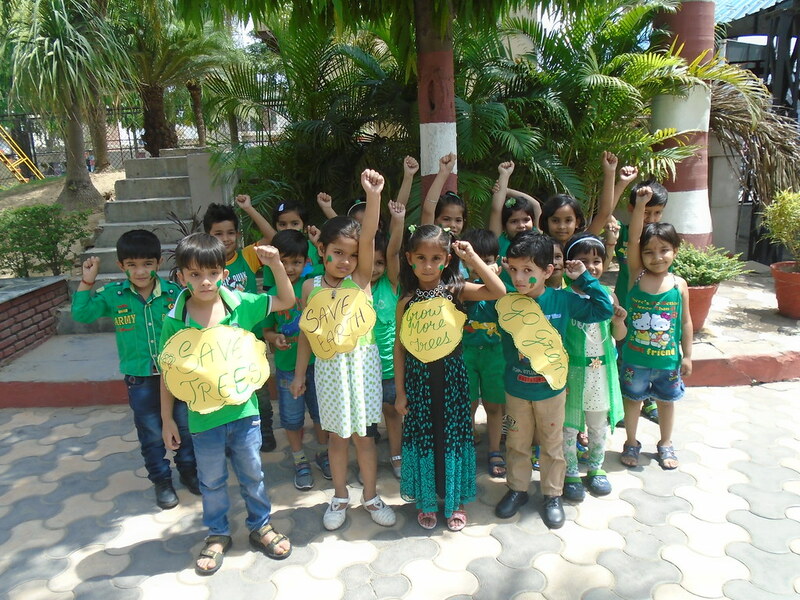 Green Day was a practical learning experience for the children & was very enjoyable.